The suit had kept its shape, M reflected. It was the man lying there, dripping wet and lifeless, who had lost his. Ian Fleming introduced the world to James Bond in Casino Royale in 1953. 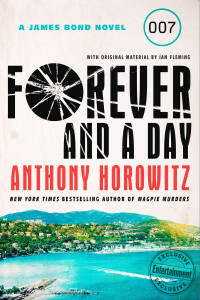 In Forever and a Day, Anthony Horowitz, the first writer asked to write a second Bond novel, presents a worthy prequel to the legendary debut. Following Casino Royale, Fleming contributed another eleven novels which spawned a growing body of 26 movies ranging from Dr. No in 1962 to Spectre in 2015. Let it be noted there is one chase scene in the current volume that is already perfectly scripted for the inevitable movie. It has the fearlessness of running across steel work or piloting a glider while death lurks around the next turn. Bond’s first direct assignment from M is to travel to Nice and investigate the death of 007. In doing so he enters a world of intrigue, subterfuge, and danger. Two potential foils to Bond’s investigation appear in the guise of Jean-Paul Scipio, an inaptly named but memorable crime lord. He runs the Corsican underworld of drugs and is known as Le Boudin, “the fat man.” He had “enough flesh and muscle for two, or perhaps even three human beings.” He speaks only the “Corsican dialect of Pumuntincu” so he is always accompanied by a translator. A second potential hindrance to Bond’s enquiry is Joanne Brochet, also known as Sixtine or Madame 16. She is an international criminal who may have killed the 007 whose death gave Bond his promotion to 007 status. She is gorgeous and smart and aligned with Irwin Wolfe, a rich American who seems to have his fingers in too many pies. Naturally, Bond and Brochet come together for many interesting adventures. Since this is a prequel to the first Bond novel, Horowitz must create the conceit of an initial identification as if we had never met James Bond before. This includes his meticulousness in everything, such as his eggs being cooked a precise number of minutes, his penchant for fine cars and intricate knowledge about them, his chosen cigarette brand, and his martinis. “Three measures of Gordon’s, one of vodka, half a measure of Kina Lillet. It needs to be served ice cold with a slice of lemon peel.” He does not mention “shaken not stirred,” but Sixtine, with whom he is drinking, explains that is the way it must be drunk. It is a nice invention to account for that famous phrase. Bond notices and appraises everything, whether champagne, a car, or even a Russian warship, but his eye is most attuned to the women he encounters on his jobs. We would call it sexist today, of course, when he notices “the way the brightly colored chambray of her pencil skirt wrapped itself around her, emphasizing the curve of her bottom.” Such reveries inevitably lead to thoughts of a projected, brief liaison together. When we meet M and Miss Moneypenny for “the first time” Bond has an immediate one-way connection to Moneypenny and imagines how she might look under her dress. This Bond is growing into the persona we know today. He is headstrong, impetuous, and makes mistakes that occasionally cascade nearly to death. The primary setting is the elegant French Riviera with its wealthy sophistication amid the glitterati frequenting the best casinos and living the high life in their tuxedos and gowns. That world is set against the seedy, violent underbelly of organized crime, especially in Marseilles, “the city…of le grand banditisme.” Both settings are explored with verve, but the very rich get a bit more loving care as befits the world of James Bond. Nevertheless, the bad guys are truly bad and finely drawn. Anthony Horowitz seems to concentrate on murder. He has written two fine Sherlock Holmes novels, Moriarty and The House of Silk, and Trigger Mortis, his first James Bond novel, among many other adult and young adult works. He created Midsomer Murders and Foyle’s War which have been featured on PBS for years. 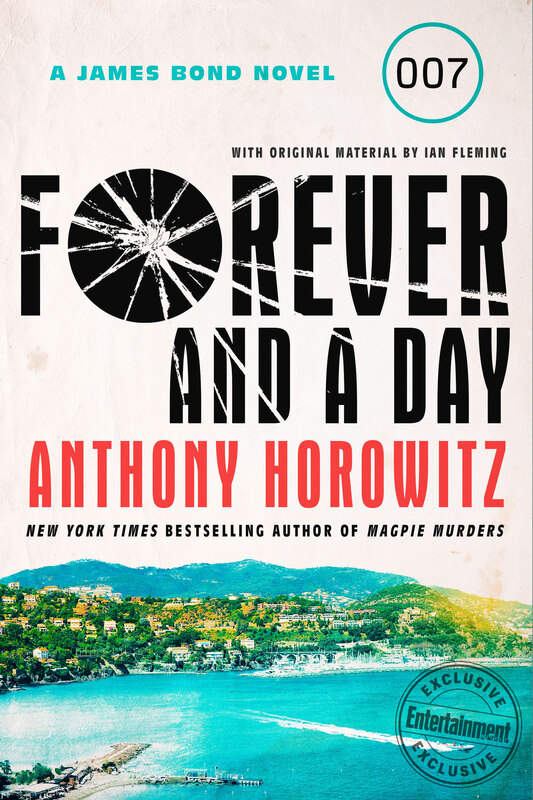 In Forever and a Day, Anthony Horowitz presents a worthy prequel to James Bond’s legendary 1953 debut.